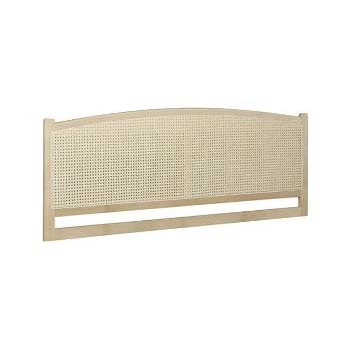 The Mayfair rattan headboard creates a focal point which will make any bedroom beautiful. Finely crafted in the highest quality solid Ash, with a natural rattan weave complementing the wood perfectly. This headboard has a gently curved top rail framed by end posts. This headboard is available in a range of finishes including Natural Ash, Light or Dark Oak, Mahogany, Light or Dark Cherry and White (Natural Ash shown in this picture). Proudly made in Cirencester, Wiltshire, UK. The Mayfair rattan headboard is available in 5 sizes; single, small double, double, king or super king and will suit any traditional styled bedroom.